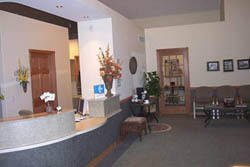 Our waiting area is large enough to accommodate our patients and families. A special area will keep our young patients occupied. Patients can enjoy fresh coffee, hot tea or bottled water from our beverage bar while waiting. 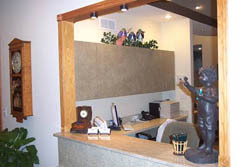 Our facility has seven operatories equipped with the latest in dental technology including digital x-rays and intra-oral cameras. 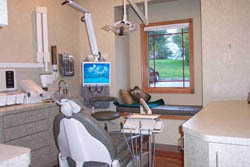 Each operatory has a window seat for family members that have accompanied patients. 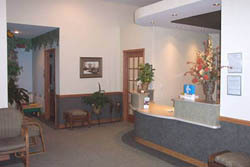 The computers have a DVD player and patients can pick from our DVD collection. A separate check-out window provides privacy when discussing treatment financial obligations.